Two shows featuring AVL visualizations played on September 25th at the Champaign Public Library when a touring inflatable digital dome theater stopped in town. 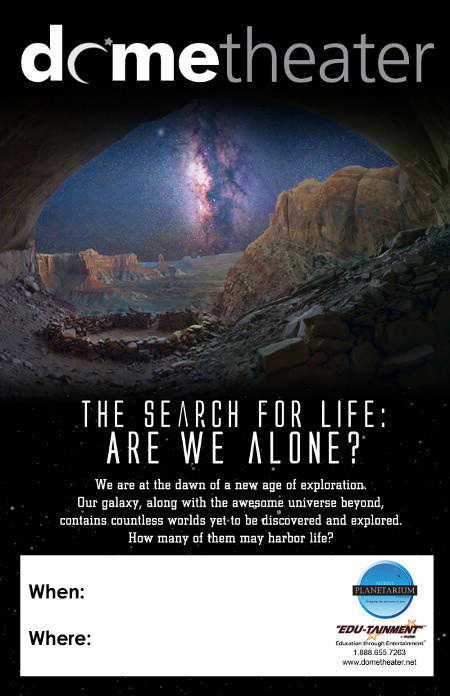 The Search for Life: Are We Alone and Passport to the Universe played for young audiences of 30 between 10 am and 430 pm, rotating between a total of four informal science education shows throughout the day. The Search for Life was targeted for grades 4 to 8, while Passport to the Universe was targeted for grades 3 to 8.